Does the C7 have more life in it still? Not everyone realizes this, but Chevrolet did not have a grand plan, so to speak, for its C7 Corvette when it launched a few years ago. 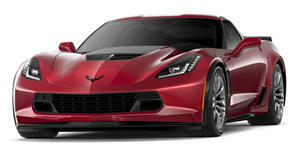 Yes, the Stingray and Z06 were planned from the get-go, but not the Grand Sport and the . The reason why is because the Corvette engineering team, led by Tadge Juechter, is constantly monitoring new technologies coming to market and how they can be applied to the C7. They also listen to what customers want. We caught up with Juechter at Detroit and asked him straight up whether the ZR-1 parked behind us was the ultimate C7. 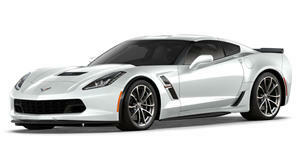 “When we brought out the Z06, we said this is everything we can do,” Juechter said. “But as technologies move and we worked with our suppliers, what else can we do, take weight out of it, how to make the power better, work with the race team, make it perform better...we’re always working in the future as to what else we can make better.” Does this mean something else is planned beyond the ZR-1, before or after the C8’s arrival? “If all of our competitors are advancing the state-of-the-art, we have to match. It’s a competition,” Juechter said.